What comes to mind when a layperson, far removed from linguistics, hears the word “syntax”? Such a person would probably remember the word “syntax” from the school days in conjunction with the word “punctuation”. Syntactic parsing of a sentence is needed in order to properly punctuate. But such a utilitarian understanding of syntax is, of course, not the same as a scientific understanding of syntax. The latter is closer to the understanding of syntax as syntax of programming languages. What is, for instance, the syntax of the C++ language? 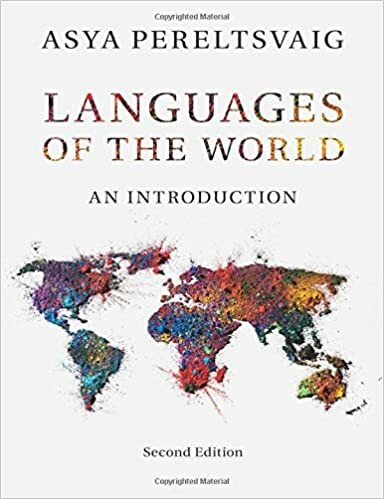 It consists of a set of descriptions of what types of objects exist in this language, and what rules one can use to connect them to obtain well-formed expressions in the language. This is very close to an understanding of what we call syntax in linguistics. Syntax is a field of linguistics studying and modeling rules that are used to form units larger than a word, namely, phrases and sentences. Let’s think what a syntactic model may consist of. The first thing that comes to mind when we talk about creating something larger out of small pieces is the metaphor of building a house. In this metaphor, we have bricks, of which we construct larger units—phrases—and we keep going until the house is completed. Words are our building blocks from which we build one unified whole. This metaphor correctly depicts the essential idea of syntax: that of combining or joining, and thus also the relationship “consists of”. This is a crucial idea for any model of syntax. But beyond that, the metaphor starts to fall apart because when we build a house, all the bricks are, in general, the same, but we have different words. And words are different not only in meaning, which is not very important for syntax, but they are different in terms of their syntactic categories, or parts of speech. 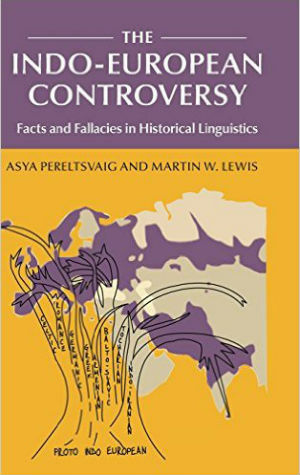 One of the first Russian theorists of linguistics, Alexander Potebnja, wrote in the 19th century: “The essential feature of a sentence in our languages ​​is that a sentence must include parts of speech; where there are no parts of speech, there is no sentence”. Before composing words into a larger unit, we must classify words into syntactic categories, which often correspond to the parts of speech that we know from morphology. Thus, we need to upgrade our building metaphor. Instead of building a house, let’s think of it in terms of playing with Lego blocks or playing Tetris. We have various types of pieces. Those types are not very numerous, but they are different. Some elements combine well with each other, others don’t. For example, a noun combines well with an adjective (“a slow walk”) but poorly with an adverb (“a slowly walk” is a bad phrase in English). A verb, on the contrary, combines well with an adverb but not an adjective (“walks slowly” is better than “walks slow”). Thus, our model of syntax must, on the one hand, include a classification of the elementary syntactic units, that is words, and on the other hand, it must include a set of rules that tell us which types of units combine with each other and what the properties of resulting larger units that are produced by these combinations are. What I’ve just described is the general schema that all current models of syntax, be they of the functionalist or the generative framework, follow. These are always two-part models. Let’s now talk about such a two-part model in linguistic terms. Thus, our model contains, on the one hand, a lexicon, a sort of dictionary—or a warehouse of elementary syntactic units. The dictionary stores words, and in some theories, not only words, but also affixes: suffixes, prefixes, and so on—parts of words, as it happens in some syntactic models. But this is not just a warehouse. Inside the lexicon, words are classified by categories or syntactic parts of speech. A word’s part of speech is its crucial characteristic, which is needed when the word becomes a part of a larger expression. But besides its part of speech, a word has other features, such as phonetic/phonological features (how the word sounds), semantic features (what the word means), grammatical features (which grammatical categories are characteristic of a given word). This grammatical categories, it must be noted, are related to parts of speech in a non-random fashion. That’s the lexicon. On the other hand, we have a set of rules that say which types of units can combine with each other, what type of unit is produced as a result of the combination, and what the properties of this resulting unit are. For example, if we take the noun “poetry” and the adjective “Russian” and put them together, the resulting larger unit—“Russian poetry”—is generally similar to the noun. And if we combine the noun “poetry” with the transitive verb “read”, the resulting unit—“read poetry”—is similar in nature to the verb. How can we understand what the properties of the resulting unit are, what it resembles? This is understood on the basis of what the resulting unit can be subsequently combined with. “Russian poetry” is very similar to “poetry” because, like the noun, it can be combined with another adjective (“beautiful Russian poetry”) or with a transitive verb (“read Russian poetry”). Linguists say in this case that the distribution of the phrase “Russian poetry” (or the set of syntactic contexts in which it can appear) is the same, or essentially the same, as with the distribution of the noun “poetry”, so the larger unit, “Russian poetry” is nominal in nature, or a noun phrase. And how many units can one rule put combining? It is clear that if we are talking about combining or putting together, it must involve more than one elementary unit, but how many can there be? Two units? three? many? The conceptually necessary minimum number of units to have a combination is two. And linguists believe that in fact we can build syntactic models that are binary, that is models in which combinations are always binary. Indeed, there is virtually no language constructs in which more than two units combine and which we could not describe by using repeated applications of a binary joining operation. A famous example of such structures that resist a binary structure is a coordinate structure, where there are two conjuncts and a conjunction between them: “Mary and Peter”. When two units are combined, a syntactic relation emerges between them, and that syntactic relation is asymmetrical, even antisymmetric. Of the two units that are joined together, one is the head and the other is a dependent. This antisymmetric nature of two units in a syntactic relationship is one of the most basic and universal properties of syntactic relations of natural language, and again only coordinate structures present a challenge for this perfect harmony of subordinating nature of syntactic relations. However, a semantic conjunction can also be expressed by a subordinating structure in syntax, in some languages. For example, in Russian we can say “Mary and Peter”, or (to mean the exact same thing) “Mary with Peter” (the latter involves a subordinate structure in syntax). And how do you know which word is the head, and which is the dependent? This can be determined on the basis of, once again, distribution: whichever word has a similar distribution to that of the resulting larger unit, that’s the head. Thus, we apply the distribution criterion in determining the head of the phrase. You may think that there is an easier way to do it. Perhaps, in some languages agreement can be used to determine which word is the head? Thus, in the Russian (or Spanish) counterpart of “Russian poetry”, the adjective “Russian” agrees with the noun “poetry”. The adjective’s specification for gender, number, and case (in Russian) is chosen depending on the gender, number, and case of the noun. (In English, of course, adjectives do not agree with the nouns they modify.) Or in a phrase “read poetry”, the case form of the word “poetry” is defined by the fact that the verb “read” is transitive. (Again, this does not apply in a straightforward way in English or Spanish, but does in Russian or German, or Latin.) Maybe, in languages where agreement and case are expressed morphologically, we can just look at the direction of the morphological dependency to determine which word is the head and which is the dependent? In some instances it might work, but as a general rule, the direction of morphological dependency need not coincide with the direction of the syntactic dependency in the same phrase. 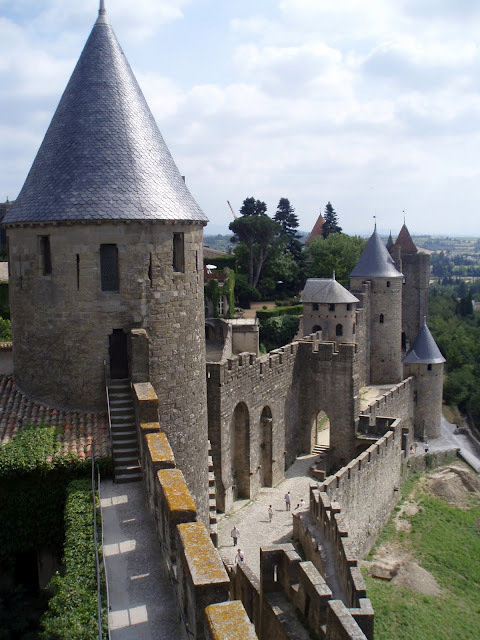 Let’s look at the so-called possessive structures consisting of two nouns, one of which refers to the owner, and the other to the thing owned. Take, for example, “a book of the teacher”: in Russian (kniga učitelja) the direction of the morphological dependency coincides with the direction of the syntactic dependency, because we have the word “book” and “teacher” (učitelja) in the genitive case. But this is not true of all languages. For example, in Farsi such expressions is composed in an almost diametrically opposite way. We have the noun “book” with a special indicator, the so-called Farsi ezāfe marker, and then the noun “teacher” in its original form. And there are some cases where the head and the dependent exhibit mutual morphological dependency. For example, in the Tatar possessive structures (ukıtuchı-nıŋ kitab-ı, ‘teacher’s book’) we see the genitive form of the noun “teacher” (marked by suffix ‑nıŋ) and the possessive affix agreeing with the possessor on the noun “book” (here, -ı). Thus, morphological dependency goes in both directions, but it does not tells us the direction of the syntactic dependency. Thus, the most important criterion for syntacticians is the distributional criterion. To summarize, syntax is a system of rules that allows you to take words and, given their properties, to predict what properties the units resulting from a combination of these words will have. As we can see, the syntax plays a much more important role than just helping us with the assignment of proper punctuation marks. In general, syntax in the last fifty years is one of the most rapidly developing areas in linguistics, and, I think, in this area where the most interesting and exciting research discoveries are taking place.